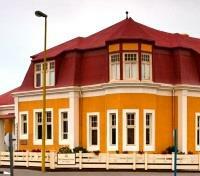 Choose from dolphin cruises, cycling, and paragliding in Swakopmund. Scenic drive along the famed Skeleton Coast. 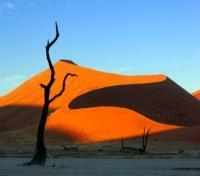 Explore the desert dunes of Sossusvlei. 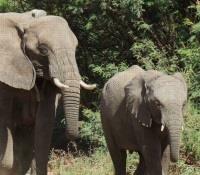 Search for the Big 5 during game drives in Etosha. The fresh sea breeze whispers through your hair as you sip Champagne and feast on fresh oysters on one of Namibia’s most stunning deserted beaches. You’ll arrive at this magical place via a cruise from Swakopmund that will whisk you through colonies of inquisitive seals, pods of playful dolphins and plentiful populations of wild flamingos, pelicans and penguins. Such is the unexpected grandeur of Namibia’s coastline that teems with abundant aquatic life. You’ll also explore the country’s vast desert vistas and soaring sand dunes in Sossusvlei; inspect a shipwreck in Skeleton Coast Park; take in the ragged valleys of the Damaraland highlands; and spot the roaming wildlife at renowned Etosha National Park. 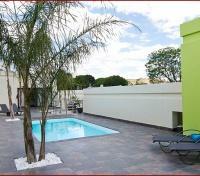 The Galton House is Windhoek's newest accommodation establishment. Named after the famous explorer Sir Francis Galton, it has a relaxed but efficient style which creates a very welcoming atmosphere. Impressive wildlife photography adorns the walls whilst the rest of the interior is a combination of modern minimalistic and understated chic. A mere ten minute drive from the centre of town and perched on the edge of Windhoek's northernmost affluent suburb of Eros, guests staying at the Galton House will be ensured of peace and tranquillity. There is Wi-Fi throughout the property and the eight guest rooms all have wired internet connectivity and satellite television. There is a coffee/tea station available in the reception area and these can also be provided in the rooms on request. The communal areas consist of a large lounge, indoor and outdoor dining areas, a swimming pool, an early arrival/late departure day room, as well as understated garden areas. There is also a delightful 'al fresco' dining area by the pool where freshly prepared and very tasty meals are served. 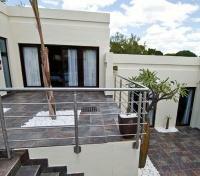 A number of shops, restaurants and supermarkets are within easy walking distance or just a short cab ride away. Today you'll join other guests to go deep into the Namib Desert to Sossusvlei and Dead Vlei. You'll have the chance to climb the shifting sands of some of the world’s highest dunes at Sossusvle. You'll also have the chance to admire the dramatic landscape of Deadvlei, where the fantastically twisted skeletons of dried trees indicate the site of an ancient lake. You'll return to the lodge for lunch. Kulala Desert Lodge is located within the arid Namib Desert on the 37 000-hectare private Kulala Wilderness Reserve, and is closest to the iconic dunes of the Sossusvlei. Kulala Desert Lodge has a main area, lounge, bar, dining area, plunge pool, and wrap-around veranda overlooking the waterhole, which is a perfect location to view and photograph the desert vista. The overall setting is a true delight to the senses, bringing together the rhythm of Namibia, wholesome meals and intimacy. A waterhole in front of camp attracts a number of local wildlife (such as gemsbok, springbok, ostrich and jackal) and provides a perfect location to view and photograph the desert scenery. The staff and environment will ensure you get the true Namib Desert experience, with excellent service and stay you imagined. Early this morning you'll meet up with other guests at the lodge for guided nature drive to the spectacular dunes of Sossusvlei. You'll go through a private gate on the Tsauchab River. World-famous Sossusvlei is an enormous clay pan, flanked by the famous red sand dunes that stand out starkly against the blue sky. These dunes have developed over millions of years, the wind continuously transforming the contours of this red sand sea. The 'vlei' itself only fills after rare heavy rainfall when, in a complete turn-around, it becomes a spectacular turquoise lake. This afternoon you'll join others from the lodge for activities including nature walks, drives to scenic viewpoints and marveling at the unique Namib fauna and flora in the private Kulala Wilderness Reserve. 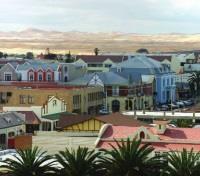 Departure from Swakopmund along the Atlantic Coast towards the North. Visit the lichen fields near Wlotzka’s Baken before continuing to Henties Bay, a small holiday resort. Onwards to the seal colony at Cape Cross. After visiting the seals, the journey continues via Ugabmund to the southern Skeleton Coast Park to inspect a shipwreck. You leave the Skeleton Coast Park in the early afternoon via Springbokwasser and can experience the harsh transition from the Namib Desert to the Damaraland highlands with its impressive landscape and ragged valleys. 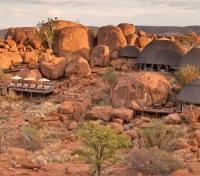 Between the Ugab and the huab River in southern Damaraland lies a vast, beautiful unspoilt wilderness and unsurpassed desert scenery, unusual geological formations, archaelogical sites and a unique variety of fauna & flora lies Mowani Mountain Camp - meaning “Place of God”. Adventures and activities available at Mowani include guided nature drives in search of the elusive desert elephant and hiking through magnificent scenery. Guides from the local tribes compliment day-time game drives to track mountain zebra, kudu, springbok, klipspringer and if you are fortunate enough... the leopard! Days are filled with game drives, champagne breakfasts and al fresco meals amidst the dusky landscape beneath Mopani trees. This morning you will depart for Etosha National Park via the Petrified Forest. The trees of the Petrified Forest were uprooted some 200 million years ago and were swept along by rivers in flood, covered by sediments and then subsequently uncovered by erosion. Afternoon arrival at your lodge in the southern end of the Etosha National Park. 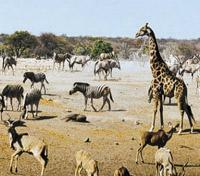 At the heart of this National Park is the Etosha Pan, a vast dry shallow depression. Perennial springs feed the waterholes along the southern verge, which attract a myriad of animal species. This afternoon you'll head out for a game drive in Etosha National Park.